The Scoop: Encounters International (EI) is a marriage agency that has introduced hundreds of American men to Eastern European women. Since 1993, matchmaker Natasha Spivack has used her experience, intuition, and personal knowledge to arrange matches between her clients. Because Natasha personally knows every woman and every man in her agency, she is well-placed to play a traditional matchmaking role of introducing friends to friends. Encounters International sets itself apart by the personal service provided by Natasha to her clients. Every month, she invites them to experience the international dating scene at EI’s members-only social events in Washington, D.C. area. Natasha’s hand-holding approach to dating has successfully led hundreds of her clients to rewarding and lasting marriages. 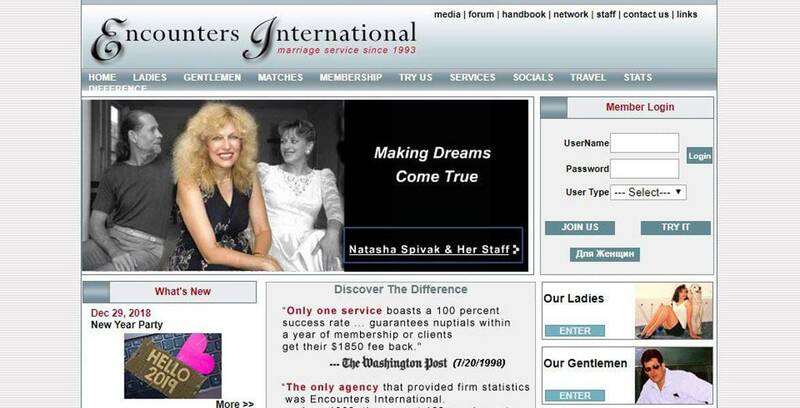 Maria was 68 years old and single when she approached matchmaker Natasha Spivack about joining the Encounters International marriage service. “Am I too old for love?” the woman from Kiev asked. Curtis and Maria met through Encounters International about four years ago. As luck would have it, a 70-year-old widower named Curtis joined the Encounters International network with similar concerns. He was afraid women would reject him because of his age. 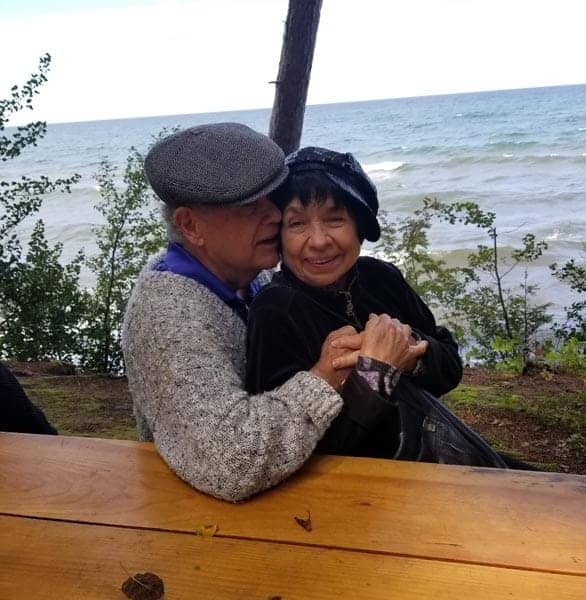 He said he wanted a Russian wife in her 50s, the same age as his deceased wife, but Natasha soon realized he was looking for love in the wrong place. He didn’t need someone younger — he needed someone who could appreciate his age and share his experiences and love him for who he is. Since 1993, Natasha has seen hundreds of couples meet and fall in love, but she said Curtis and Maria stand out in her mind as an amazing testament to what matchmaking can do. Encounters International helps commitment-oriented singles overcome age, distance, and cultural differences when seeking the perfect partner. As a professional matchmaker, Natasha has successfully arranged the meetings of hundreds of now-married couples. She introduces American men to Russian and Ukrainian women, and she paves the way for them to be together. “Sometimes the stars align, and I don’t have to do anything more than talk them through the process and answer questions about how to get a visa and where to get a marriage license,” Natasha said. Natasha said EI currently has over 150 male clients to its name, and she knows them all by name. Everyone who signs up for the service enjoys a lifetime membership, and Natasha personally interviews new members to get a sense of who they are and what they want. She ensures that her male clients have the right intentions and that her female clients are beautiful inside and out. The EI matchmaker sets realistic expectations for her clients and makes sure they’re prepared to get married at the end of the matchmaking process. She only takes on clients who are willing to invest in their futures. Natasha shows her male clients picture after picture and waits for one to spark a match. She said she takes care not to judge men for what they want but to be there for them and offer guidance based on decades of experience. “It’s not up to me to make judgments. It’s up to me to make good matches,” she said. The Encounters International handbook encourages singles to know what they want in life and pursue partners who want the same things. Encounters International facilitates introductions between singles. Sometimes EI clients don’t find love through Natasha’s matchmaking process, but they learn about themselves and gain clarity on what they want. One former client said it was “well worth the money” to realize that he was in love with someone outside the EI network and didn’t need to look elsewhere for a wife. Natasha said she has seen men have emotional breakthroughs as they talk about how they feel and what they want in her office. Some of these men may not have another outlet to express and explore their feelings, so it helps them to have Natasha in their corner and asking the right questions. The success of Encounters International hinges on its social events. Former and current EI clients can attend the private social mixers in Washington D.C., Philadelphia, and New York. These Saturday Socials offer dozens of attendees a chance to network with many high-caliber singles and couples. Saturday Socials include food, drinks, entertainment, and plenty of romance. These low-key events take the pressure off singles seeking a spouse and allow them to get to know each other on their own terms. They can chitchat while enjoying cocktails on a yacht or a barbecue on a private beach. Sometimes the Russian women put on a show to highlight their musical gifts and other talents. Natasha arranges introductions between clients at EI’s monthly socials, and she provides guidance as the relationship develops into something serious. Over the years, many clients have met their future spouses at Encounter International’s Saturday Socials. Natasha said some have even fallen so completely for one another that they were soon shopping for engagement rings. Encounters International has been around for decades, and it has inspired hundreds of love stories in that time. EI’s Family of Clients grows larger with every passing year. The network includes American men and Russian women from all walks of life. EI couples can be found across the U.S. and Canada. To date, the service’s matchmaking has led to over 500 marriages. Andrei and Alina had an instant connection at an Encounters International social and are now married. Andrei flew to Washington, D.C. and met Alina from Moscow at the Saturday Social in April. After only a couple of days together, they felt like they’d known each other for a long time. Both were vegetarians, both had the same interests and values. It was an instant attraction. They married May 2, 2016. 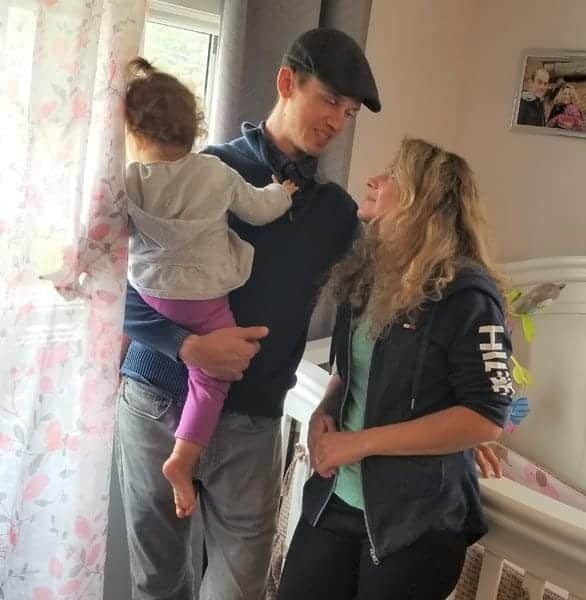 Now three years later, Andrei and Alina have added a daughter to their loving family, and they have Encounters International to thank. Scott H., a 49-year-old sales rep from North Carolina, attended his first EI event with a gloomy attitude. He said he didn’t think the woman he wanted to marry existed. Natasha begged to differ, however, and she began showing him videos of the Russian women in her network. A woman named Irena stood out on the list. These love stories are the foundation of Encounters International. Many other clients have started their happily-ever-afters with Natasha’s blessing. Curtis and Maria’s unlikely love story still inspires the team at Encounters International. It shows just how unpredictable love can be, and it reminds the matchmakers that everyone has a chance at happiness. These professionals pass that lesson on to their clients, giving hope to singles who are widowed, divorced, and never married. Over the last 25 years, Encounters International has helped bridge the divide between Western men and Eastern European women and helped fruitful relationships to blossom at its members-only events. Natasha has established a trustworthy reputation for an international marriage service, but she still sees room for improvement and growth in the future. She plans to focus on upgrading the matchmaking services to facilitate more personalized introductions and hands-on coaching.